Wall Street was lower in early trading on Monday, just hours ahead of the first debate between US presidential candidates Hillary Clinton and Donald Trump. So far the White House race has not had much effect on the financial markets with investors assuming a Clinton win, and few policy changes. But with just over six weeks until Election Day they are starting to focus on it. That is because Clinton’s previously comfortable lead in opinion polls has all but evaporated. Consequently investors fear the closeness of the contest could create volatility for the shares of some companies. There is particular concern about health insurers, drug makers and industrial firms. Political uncertainty is also pushing up the price of gold as investors turn to that as a safe haven for their money. The first debate will be closely scrutinised to see if it provides evidence of a shift in momentum for either of the candidates. 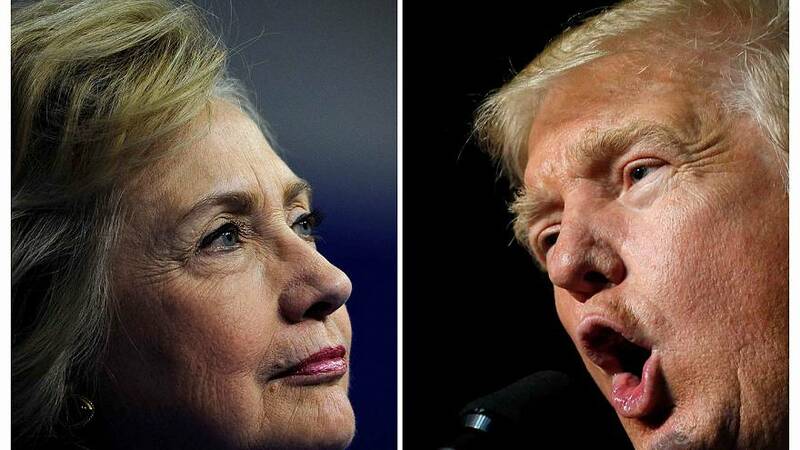 Half of America’s likely voters say they will rely on the debates to help them make their choice according to a poll released on Monday. “Investors are acting extremely nervous with regards to the debate … and it highlights the fact that the markets are not focusing on the health of the economy, interest rates and geopolitical events,” said Robert Pavlik, chief market strategist at Boston Private Wealth. Adding to investors’ unease on Monday was Deutsche Bank’s US-listed stock touching a record low and dragging down big Wall Street banks.